Building upon the global success of 50 million+ downloads of PDF Reader series, Kdan Mobile has taken a step forward to migrate the technology to Apple’s Mac platform. 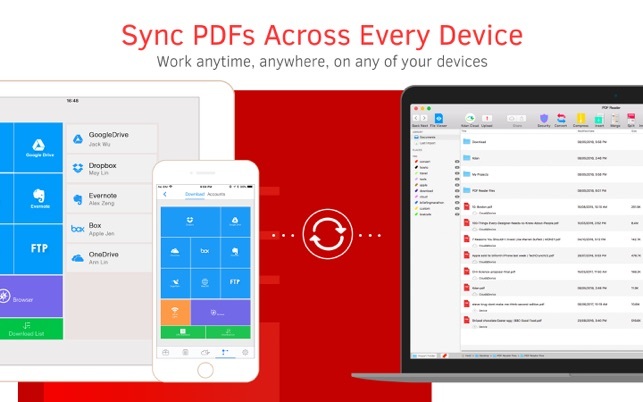 Covering all the essentials and more, PDF Reader is one of the world’s leading PDF solutions across any Apple device. 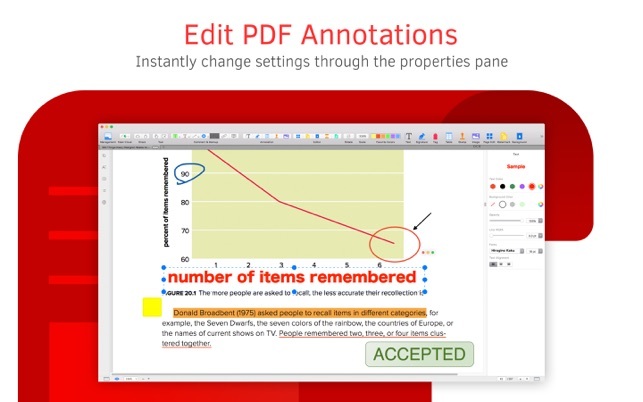 Its expert features allow you to view, annotate, combine, compress, organize and sign PDFs with ease. Now you can efficiently work with PDFs on your iPhone, iPad, and Mac. 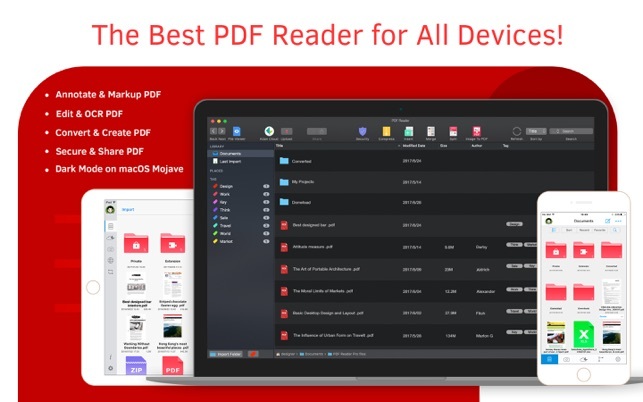 - Featured as one of “Best PDF reader for Mac of 2018” apps on Techradar. - Productivity: Top 10 free app in USA, Germany, China, Brazil, UK and many other stores. • View PDF in single page or two pages view. • View PDFs online by sending file links. • Upload and manage files directly from your browser. • Send download links from the web with password protection. Convert, edit, and sync PDFs on the go by subscribing to Kdan Mobile’s Document 365 services. Work with PDFs across all devices and platforms with ease. Document 365 is a comprehensive, cross-device document solution aimed at improving your productivity. The PDF document solution includes Kdan's best PDF Reader mobile and desktop apps along with online converting and faxing services. With document 365, you can leverage your productivity every day. And it starts now. - Try out the subscription content before you buy it. We offer 7-day and 14-day free trial periods to new subscribers of Document 365. CAN WE GIVE A HAND? ■ PDF Reader embraced its inner darkness on macOS Mojave in Dark Mode. ■ Batch PDF Compressor - Compress PDF files in batch. ■ Crop PDFs - Crop all pages with the same size. ■ Printer Posters - Averagely split posters by sheets of papers. Unlock even more tools that work across mobile and desktop with one subscription to Document 365. Try out for free before you decide to subscribe. Im no fan of Adobe, so I tried this alternative but its lacking in some basic features. It wont let me print a custom list of pages like Adobe does, Like Print Pages 1,4,7, 12-20, 72. Instead I would have to print each of those pages or ranges, one at a time. First, it starts off im Thumbnail mode all the time, cant seem to turn that off as a startup feature. Only developers need theumbnail mode, the rest of us just want to view pages in as full a screen real estate as possible. Also, the search feature is weird - it presents the hourglass for several seconds as you beging to type the first letter or letters of the search word, and it crashes ofetn after one or more searches. It doesnt highlight the search results on the viewable page, instead it opens a search results thumbnail list on the left of the scren even though search box is on the right and displayed page is in the middle. Also, there should be a navigation pane that displays current page number and first and last page number that lets you quickly navigate to top, bottom or a specific page number. Hi HomeDocNY, Thanks for your review. You can export select pages as a new PDF and print as one. Here is a tutorial https://support.kdanmobile.com/hc/en-us/articles/360000608514-How-to-Export-Selected-Pages-as-a-New-Separate-PDF. Also, for the thumbnail mode as you referring to when it displays the list of files? If so there is a thumbnail and list icon in the bottom right-hand corner, just click the list icon to switch the viewing mode, if you are referring to something else, please kindly email us at appservice@kdanmobile.com with more details and we'd be happy to assist you. I was hoping to attach a screenshot to show, but it doesn’t appear to be possible. Regardless, the gist here is, documents viewed on PDF Reader are fuzzy. I don’t know if it’s a resolution thing or what, but the fact remains, when I open the same document (scanned or otherwise) in this app and, let’s say, Acrobat or Foxit, as well, the words aren’t as easy to read because of the fuzziness observed. PDF Reader isn’t alone. I purchased a different PDF editor a couple years ago and noticed the same thing. That editor had/has a lot of other issues as well, but having already purchased it, I couldn’t get a refund. I am eternally grateful for free trials, because I expect to get what I pay for. Why pay for an app that doesn’t perform as well as a free one? 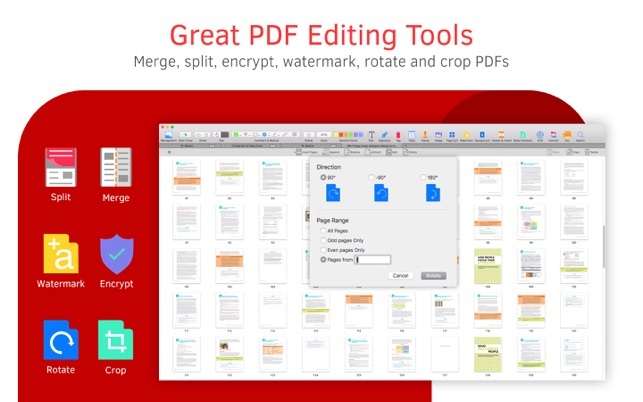 I don’t know why it’s so hard to get a PDF app that can actually do it all and do it well. Some have OCR, some don’t. Some share documents across multiple platforms, some don’t. PDF Reader has these features. It’s what I’m looking for, but the documents need to appear as clear as any free app or I won’t purchase it. PDF Reader is one of the few one can purchase via a one time charge. That’s also a huge plus. Thanks for sharing your suggestions. Please kindly send us the problematic document to appservice@kdanmobile.com. We'll provide you the resolutions. 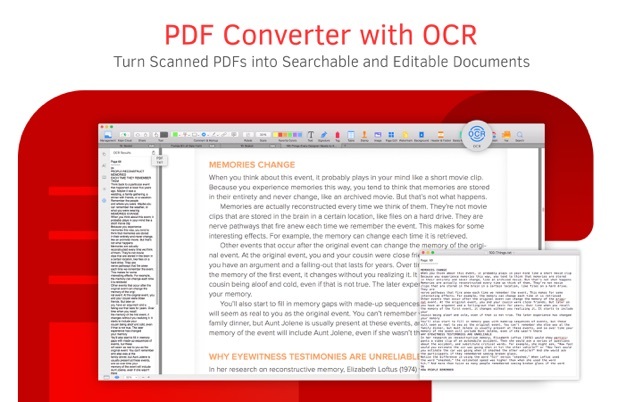 PDF Reader supports OCR and online conversion which are available with a subscription to our service. If you have any further suggestions, please do not hesitate to contact us, thank you. All I wanted this app for was so that I could insert a few hyperlinks into my resume. Long story short, I cannot do it through microsoft word because the formatting gets messed up when I select the export to PDF option “Best for electronic distribution” (which would preserve hyperlinks to the PDF). Anyways, this app (at least the free version) only allows users to insert one hyperlink into a PDF, making it useless for my purposes. Because this is such a basic task, I would expect this feature to be included even in the free version of the app. I have to say I did not really test out any of the other functionality of the application, for inserting hyperlinks was the only task I needed to be able to do. Hello, thanks for the review. PDF Reader supports user insert over two more hyperlinks in a pdf file. Please send us your questioned file and your app version to appservice@kdanmobile.com, our customer support will help you as soon as possible! Thank you!